KANSEI Art Exhibition will be held in Hong Kong Exhibition Center from 4 December, and ANTEPRIMA Docomo mobile phone will also be exhibited. ANTEPRIMA mobile phones sold very well. I have already received re-order of mini mini wire-strap so I had a great dinner in China Club named Docomo Club. 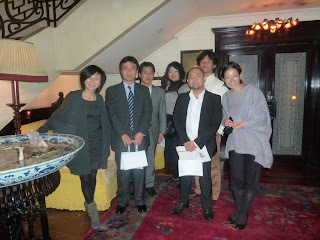 I happened to meet Mr. Alan Chan in China Club. 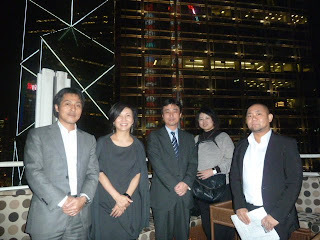 He was there together with the designers who came to HongKong for KANSEI Art Exhibition. I always feel the world is small. Today I have had Board of Directors meeting for ANTEPRIMA Ltd, and in the same evening, I will fly to Milan.. I don’t know how long I can keep going like this, even though some say “you are energetic”.